The Resident Evil Reboot is moving right along. While there is still no indication as to when exactly we'll see a new take on the video game franchise brought to life on the big screen, writer Greg Russo has revealed that a draft of the screenplay has been completed and turned into the studio. Now, it's in the hands of producer James Wan and, hopefully, a director to bring what's on the page to life in the not-too-distant future. Greg Russo doesn't have much in the way of produced work to speak of, but he's also worked on the long-gestating Mortal Kombat movie reboot, which also has James Wan attached to produce. So he's familiar with adapting popular video game franchises into movies. During a recent interview, Russo discussed how he approached the reboot, revealing that he used the game Resident Evil 7: Biohazard, as a major influence. Here's what Russo had to say about it. "Obviously, I'm a huge fan of the franchise so to work on that was a lot of fun. And they've made six films before so when you come back to that and reboot it, you wanna do something different and not just rehash. 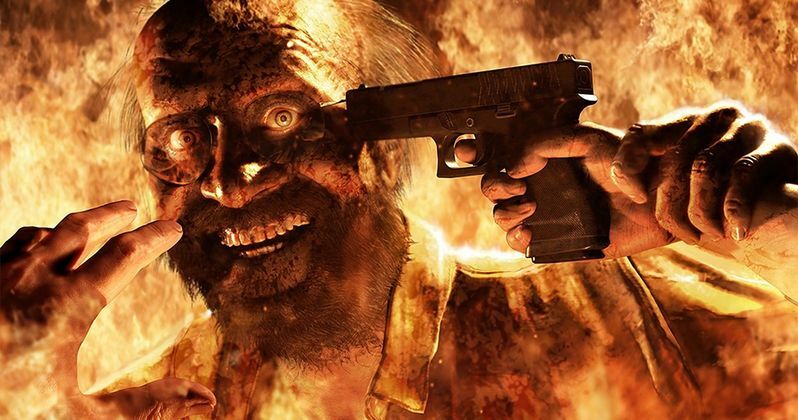 For me it was very clear-cut that I wanted to go back and make it scary again like a horror film in terms of the classic James Wan style so that was the pitch, going back and looking what made the games scary in the first place so yea Resident Evil 7 was a bit of a touchstone for my draft." Director Paul W.S. Anderson and star Milla Jovovich made six Resident Evil movies over a 15-year period. During that time, they definitely evolved into more of an action franchise with zombies and hideous, monstrous creatures threatening the world, as opposed to a horror-first approach, which is what the game series originally was popularized for. Biohazard, as a game, largely brought the video games back to their scary roots, which means those hoping for more of a horror approach should likely be encouraged by what Greg Ruoso has to say. But it's out of his hands now. Russo further revealed that his time on the project has come and gone. "I worked on the reboot for about a year and then producer James Wan came in, my involvement on that project has kind of concluded, so I'm not sure what they'll really do with it, I submitted my draft to the producers and they were happy with it and ultimately they'll do what they will with the property but I'm currently not involved with that film." The six previous Resident Evil movies grossed a total of $1.2 billion at the global box office. Though not critically heralded, that makes it easily the most successful video game movie franchise ever. It's easy to see why a studio would be interested in a reboot already, despite the fact that the last movie only came out last year. Let's just hope that Greg Russo's horror approach remains intact throughout the development process. This news was first reported by Discussing Film.